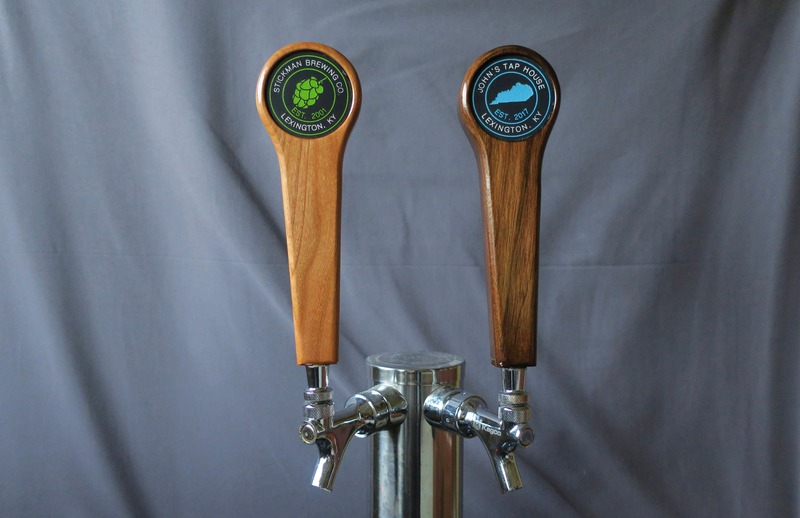 A custom homemade tap handle made from the hardwood of your choice with an engraved and painted custom graphic. There are several standard graphic designs to choose from (see 4th picture). If you have a different graphic in mind, please contact me through Etsy Conversations. You may add up to 20 letters both above and below the graphic, as well as an "Established" year or other short text. Dimensions: 8 inches tall by 2.6 inches wide by .875 inches thick. 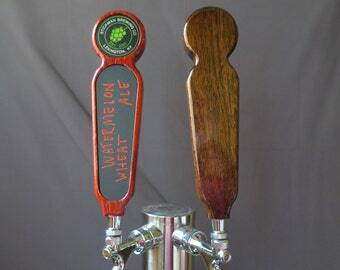 This handle is available in walnut and cherry hardwoods (see the backsides in the 3rd picture). It is coated in polyurethane for long life. There is a brass threaded insert in the base to screw into a North American standard 3/8"-16UNC threaded faucet. When you place the item in your cart a box for notes will allow you to specify the custom text. Please list what you would like for the UPPER TEXT and the LOWER TEXT (each 20 letters max, spaces included) and the "EST." year (if desired). Also specify which graphic you would like. Please feel free to contact me through Etsy Conversations if you need any help or have your own graphic you would like to use. Prior to engraving the graphic, I will send a digital mockup through Etsy Conversations to verify that the design is correct. 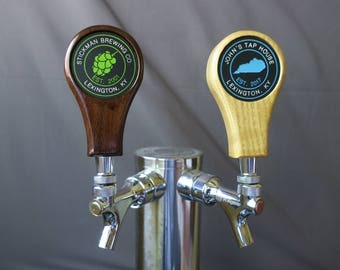 I worked with John on this beer tap handle. He provided several options/proofs to select from for this custom job. The final product is perfect and arrived in an extremely timely manner. This is a Xmas gift for my Dad. 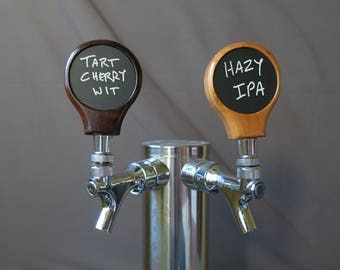 He is going to love the personal touch his precious basement bar beer tap will have, I just know it! Thanks! My Husband picked these out and got for his birthday and he LOVES them! It’s the best gift he said he’s gotten in years!!! This business was the best to work with and they’re so talented. I am pleased and I buy a lot online and this by far has been best shop! Thanks so much!!!! The quality and craftsmanship is excellent. The seller was very responsive, friendly, and professional. He was able to create this custom piece in no time. 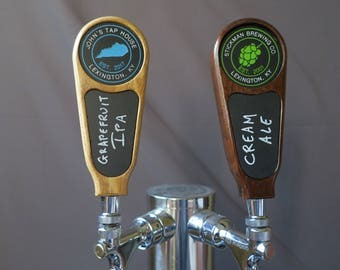 I love our tap handles! John communicated well, and was quick to provide an art proof. 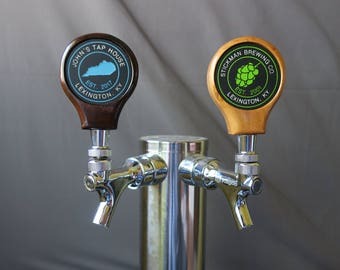 The handles are well-made, unique, and look great! Highly recommend.